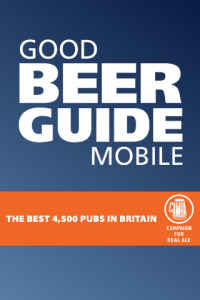 The Mobile phone version of Camra’s Good Beer Guide is being demonstrated at the Great British Beer Festival this week (August 4th to 8th). The Mobile Good Beer Guide is developed and maintained by Greenius for Oxford Softworks. At the Great British Beer Festival a 3 day no obligation free trial is being offered, and a year’s subscription to the service is available for £10. The mobile version offers most of the content of the Good Beer Guide on your mobile phone without having to carry a big book around with you, and allows you to search for pubs near to you. The content is automatically updated if pubs change, and will automatically update to the Good Beer Guide 2010 content to coincide with the publication of the next edition. If you are visiting the Great British Beer Festival, then please come and find us in the Camra Bookshop near the middle of the exhibition center. Redline is now available on on the AppStore!